We haven't had new snow over the weekend, but there is still plenty of snow in the Catskill Mountains, even just a few days away from Spring! Most areas have a foot or more of snow, with 4 to 6 feet of snow present on mountain summits! Be prepared for winter conditions when you come and visit! 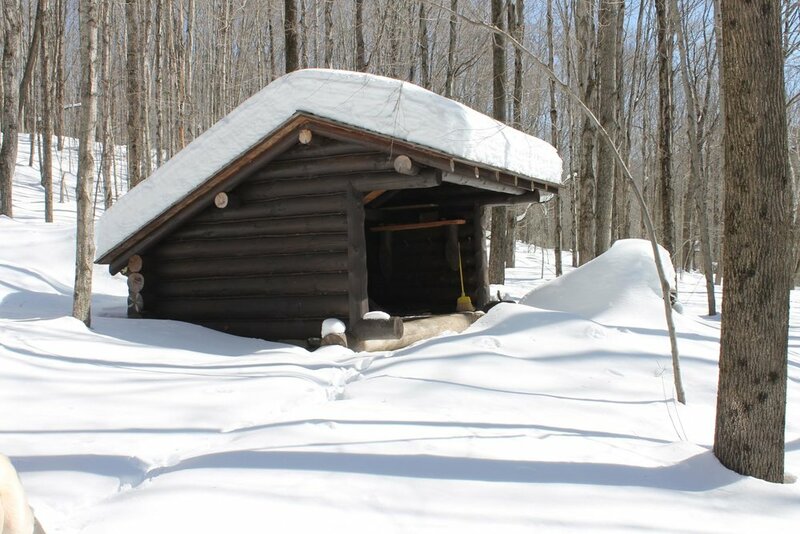 The Rochester Hollow Lean-to sits beneath deep snow this weekend!